This dessert could really not be easier. I have recently discovered Indonesian long pepper courtesy of Sous Chef (www.souschef.co.uk) so couldn’t wait to try it. Long pepper offers a musky, spicy note to balance the heady vanilla and sweet strawberry. 1. Start off by soaking the gelatine leaves in cold water until softened. This will take around 5 minutes. Make sure the water is cold as warmer water will reduce the setting qualities of the gelatine. 2. Add the cream, milk, sugar, vanilla and pepper into a pan and slowly bring to a simmer. If you want a subtle vanilla flavour then keep the pod whole or alternatively split the pod, scrape out the seeds and add to the pan along with the whole pod. You could also break open the pepper corns, grind the seeds and dry roast them in a small pan before sprinkling in a small amount. 3. Take the pan off the heat and prepare the gelatine. All you need to do is carefully squeeze out any excess water and then add to the cream mixture. Stir until the gelatine dissolves before adding the freeze-dried strawberries. 4. Divide the mixture between 4 dessert moulds or ramekins. Pop into the fridge to set the panna cotta. This should take around an hour but you can leave them longer. When ready to serve, run a tin knife round the edge and gently release the panna cotta. If it needs a little help then dip the base of the moulds into a bowl of warm water and then turn out. 5. If you want to serve the panna cotta with a coulis then add the water and sugar into a pan, bring to the boil and then reduce to a simmer until the sugar has dissolved before taking of the heat. Add half of the fresh strawberries and blitz with a hand blender. For a smooth finish you can sieve the sauce. Pop in the remaining berries and gently combine before serving with the panna cotta.The coulis can also be frozen for another time. 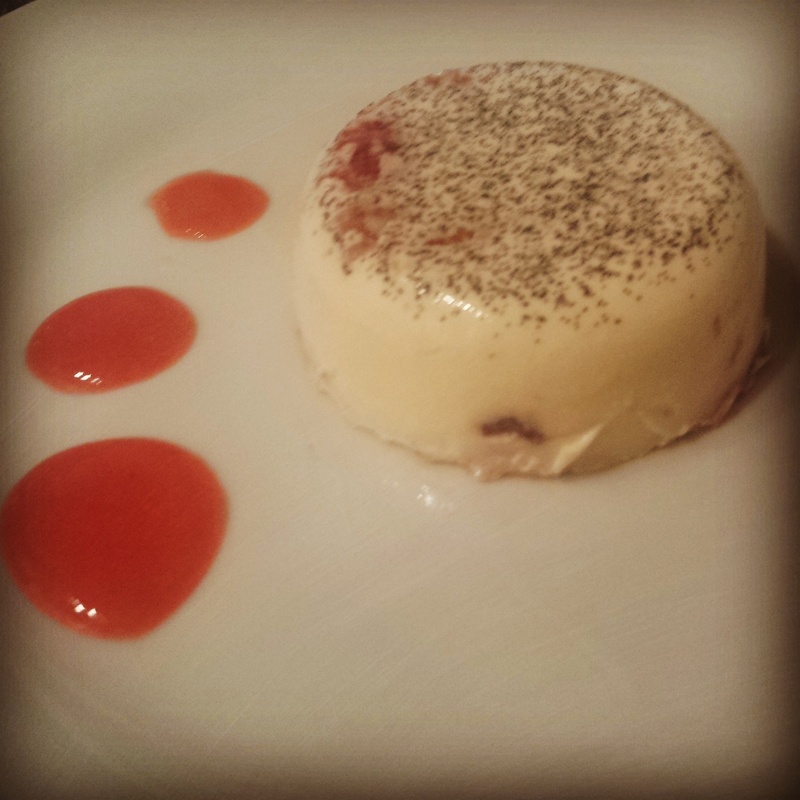 A simple panna cotta with an unusual twist! This entry was posted in Uncategorized by sotiris14. Bookmark the permalink.